Where do I even start? Firstly, Merry Christmas Everyone! Can we believe that the big day is just around the corner, if you're relaxed then I'm jealous - if you're stressed then I feel you. This time of year is such a busy one, its my brothers birthday today. He's a Christmas baby so life gets really hectic, then I have a list of people i need to meet up with before going back to university and still have food to cook tomorrow and presents to wrap. Someone pass me the non-alcoholic wine! But forgetting about all of that, this time of year really is lovely. Giving gifts is my favourite part, to see the reaction on peoples faces when they get given something they have always wanted. Wrapping is also my favourite past time, picking the paper, the ribbon and the bags!! Its all so special and festive. 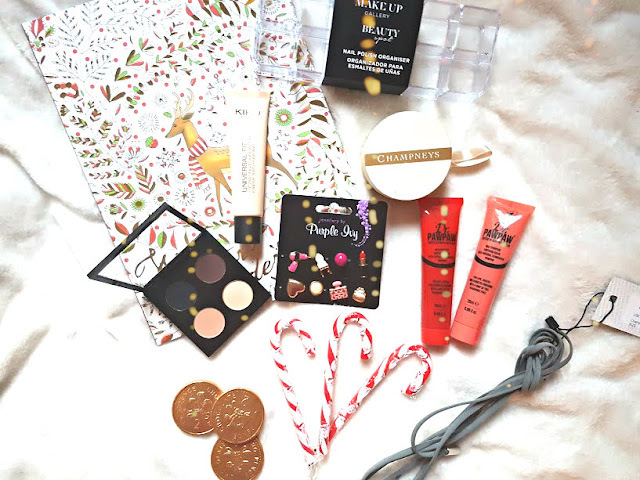 A few weeks back, I sent the lovely Nishi from NishiV a message asking if she'd like to do a secret Santa with me. But its not really a secret Santa because we knew who we were getting gifts from, however it was a surprise in terms of what we were going to get from one another. Then a few weeks passed and the parcels arrived - eeeep! I'd never been so excited in my life. Even though neither of us have never met (which has to happen in 2017) we are so similar and stalk one another like crazy. She's definitely a friend that I have made through blogging and its amazing that the Internet does these crazy things. She has absolutely spoilt me and I feel very, very lucky! 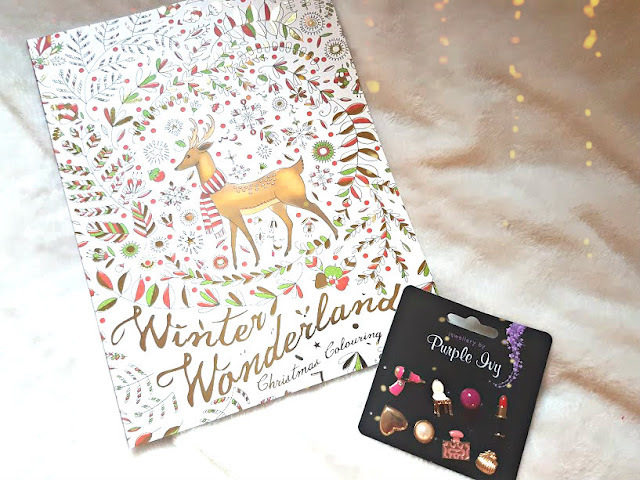 If you'd like to see what she picked out for me then keep reading and if you'd like to see what I got her then head on over to her blog and have a read. If you have Nishi on snapchat, you may have already seen the gifts because she's a snapchat queen! The first two items have been opened, used and very much loved. A acrylic nail polish organiser, which couldn't have come at a better time because I am in need of more storage. Its currently holding half nail polish and half lipsticks, which Nishi informed me is what she uses her's for and it is perfect! 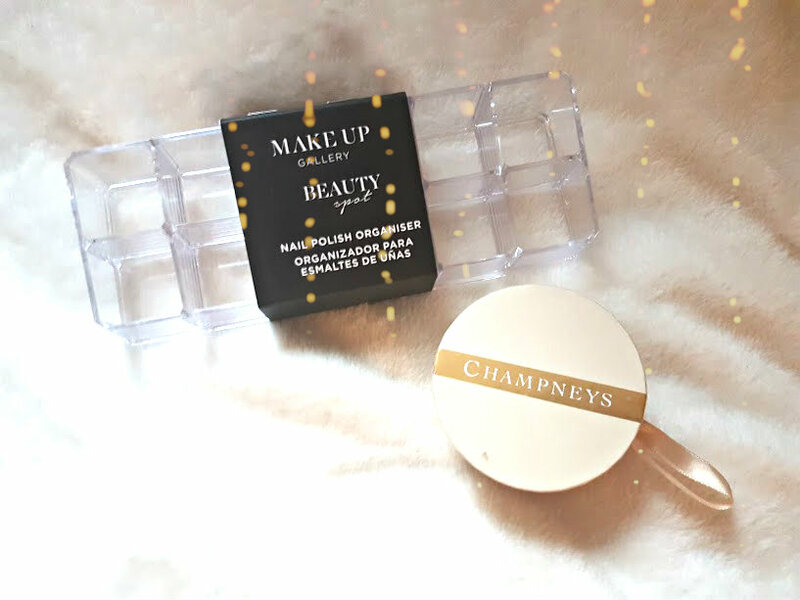 Then a gorgeous cream from Champneys, I love this brand at this time of year because their scents are so festive and long lasting. When I opened up the Dr Paw Paw balms, I may have screamed a little. Nishi loves these to death, you can read her review here. Getting my hands on such a loved product of hers makes me very excited, its a multi-purpose balm that can be used on the cheeks and lips. I tried the red version on my lips the other day and they became really soft and smelt amazing! Hidden away in the parcel was a grey choker from Boohoo. I have wanted to get on the choker bandwagon for so long and Nishi has finally made my dream come true! Its been around my neck since recieveing it and has started another addiction, expect a post on how I've been styling it and wearing it! Its such a great accessory to dress up an outfit. When I opened the next parcels I was at the verge of crying, this was too much for me to handle and cannot thank Nishi the Angel enough. The MAC quad is full of matte, dark and gorgeous eye-shadows and its been a long time since I tried MAC shadows and can't wait to use these! My heart is set on the matte purple/brown shade as an outer corner colour - doesn't makeup just excite you. 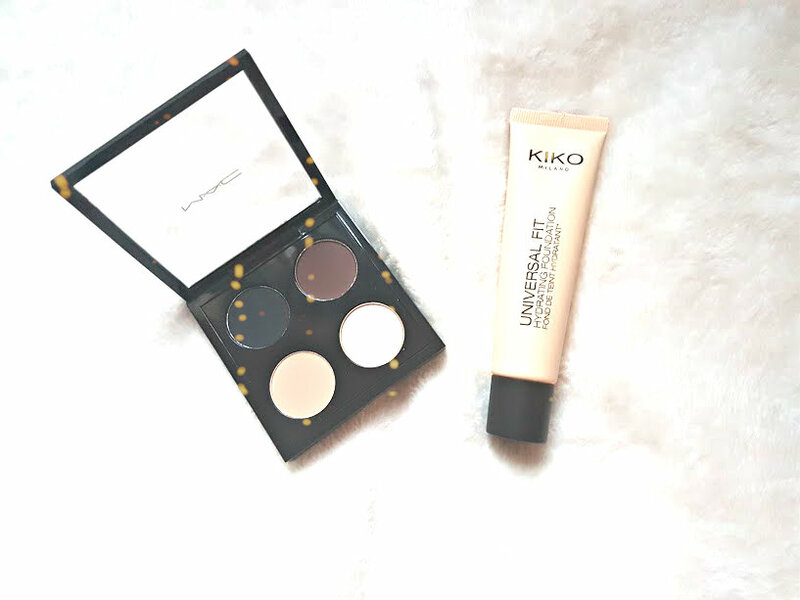 Then there is my new foundation love, the Kiko Universal Fit. Nishi loves this foundation and I can really see why. It applies like a dream and she got my shade bang on - this matches the yellow tones in my skin perfectly! I'm very in love with it and have been reaching for this everyday. This is the best secret santa that I have ever taken part in!! Nishi has completely spoilt me, even though I really don't deserve all of this. Expect in-depth reviews of so many of these things and expect even more mention of Nishi in the new year - this girl is awesome! Be sure to follow her on all her social..